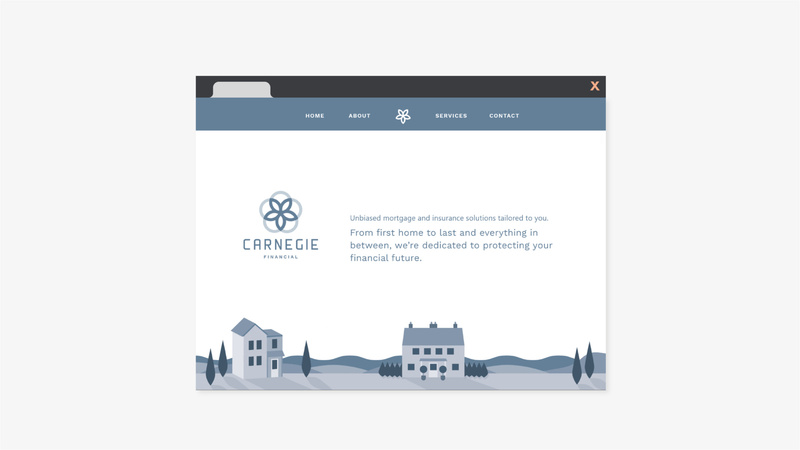 Carnegie Financial are a start-up mortgage and insurance brokers based in the North East of England that value longevity and personalised customer care. 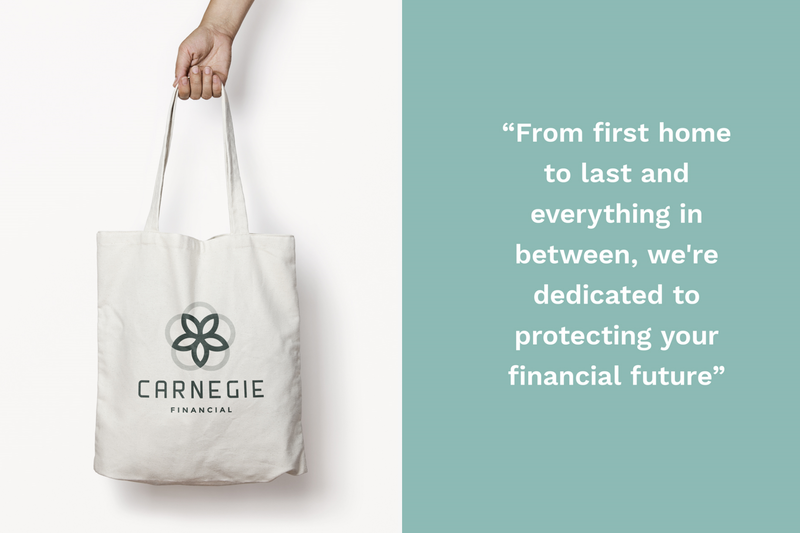 Adrian Sutcliffe, founder of Carnegie Financial, came to us following a glowing recommendation from our long term clients Heron Financial (check out our Heron case study here). Adrian was in the early stages of setting up his company, which is based in and primarily serves the North East of England. 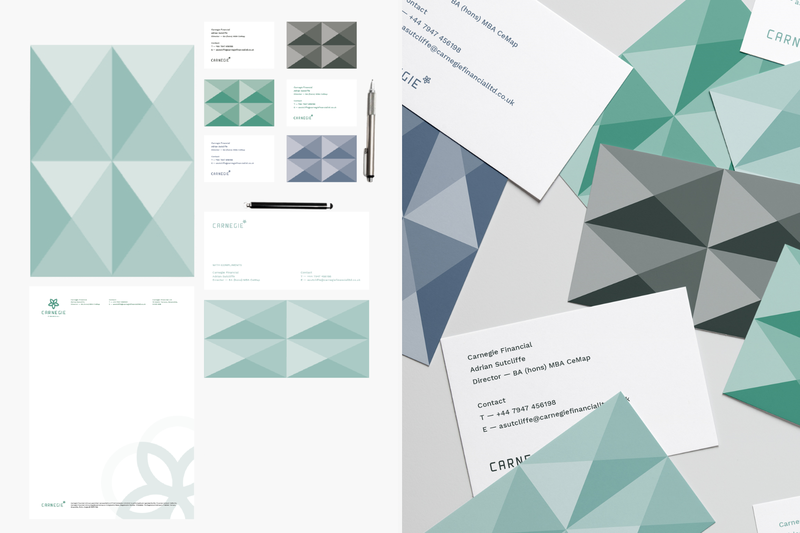 He wanted us to create a brand strategy and identity that was reflective of and sympathetic to its roots in Northumbria and Yorkshire, whilst retaining the ability to appeal to additional markets across the UK as part of its future growth strategy. We created a brand that’s as synonymous with the local audiences of his hometown, as it is with a wider British market. At once personal and professional, placing a real importance on community and regional identity – a refreshing antidote to the oppressively corporate or overtly tech focused mortgage brokers of today. To build the brand logo we took typographic inspiration from the ghost signs that pervade buildings across Tyneside, Leeds and York – reminders of the region’s industrial past. The name Carnegie was chosen by Adrian in reference to his history as a student at Leeds Beckett University, where he first discovered his love of numbers, and the University’s link to Yorkshire Carnegie rugby club. So, we decided to take the Yorkshire Rose and adapt it into a simplified, geometric looking symbol to act as a brand signifier. This combination of lettering and symbolism allowed us to propel the brand imagery forward, setting it apart from its competitors, whilst being sensitive to its heritage and birthplace. 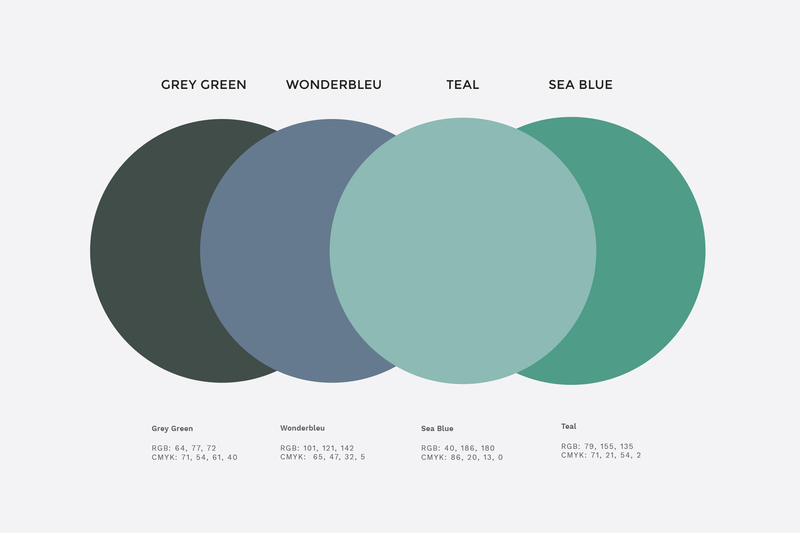 We used a fresh approach to colour that shuns the traditional navy blues and reds of finance in favour of an unusual chalky palette that softens the overall look and feel of the brand. 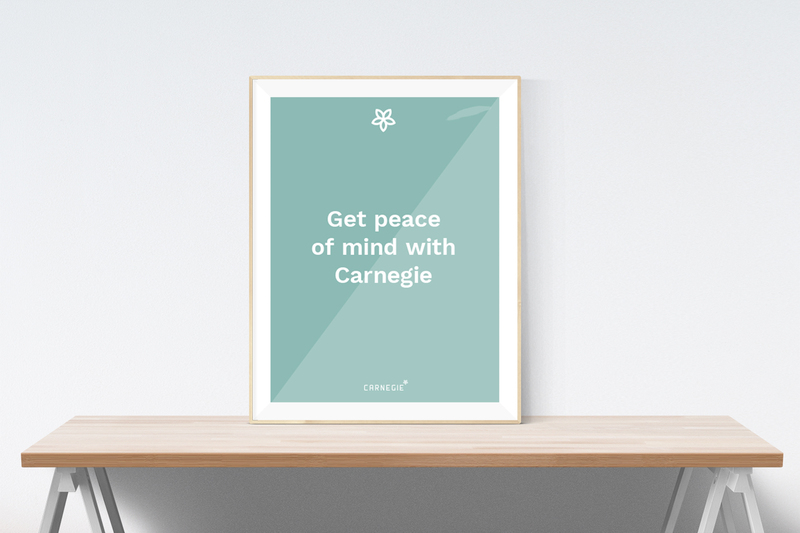 ‘Get peace of mind with Carnegie’ became our customer-facing tagline, a welcoming, simple slogan that appeals to a no-nonsense audience. The accompanying tone of voice and copy created for Carnegie is similarly welcoming, with an emphasis on language that connects people and encourages their audience to feel immediately at home – whilst they buy a home! 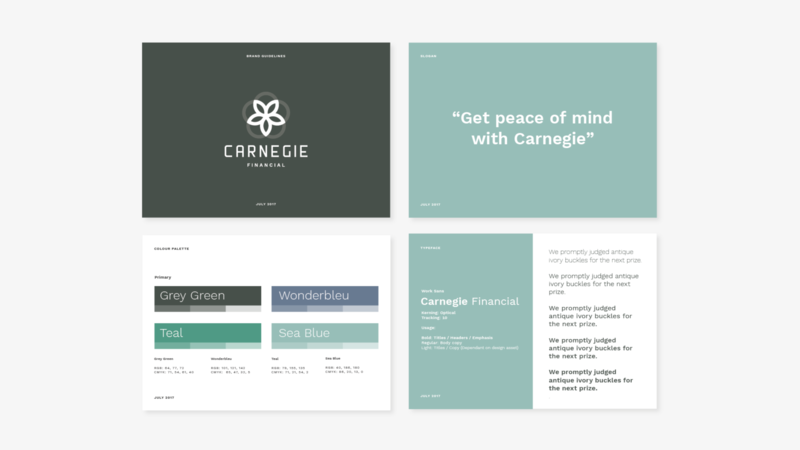 Our work helped to define Carnegie Financial as approachable and familiar, by appealing to it’s primary audience across the North East, whilst retaining a refined aesthetic that allows the company to present itself to a UK wide audience.